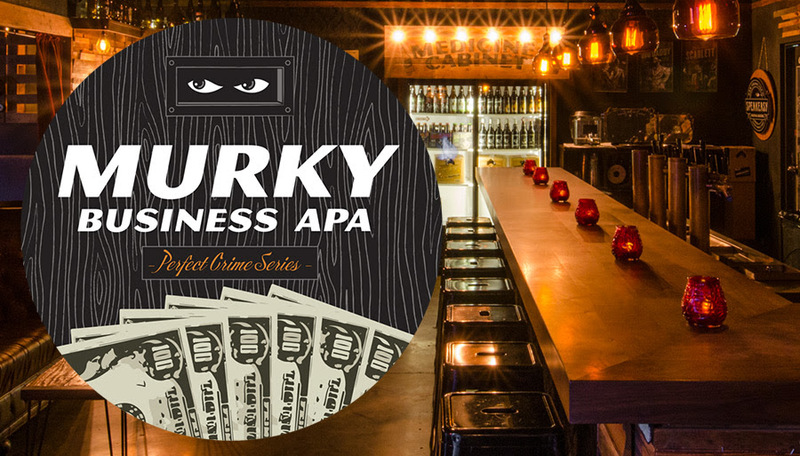 Speakeasy Ales & Lagers is set to release its first new beer of 2017, Murky Business APA, the latest addition to the brewery’s draft only Perfect Crime Series. Murky Business APA is not your father’s malty American Pale Ale. The almighty hop takes center stage with a big juicy punch of tropical fruit. Notes of pineapple, grapefruit, papaya, and lychee dominate Murky Business APA. A small amount of white wheat and flaked oats were added to give the beer some body, while a touch of rye and Maris Otter add a hint of spice and lightly toasted malt. Straw to pale gold in color, Murky Business APA is dry with no caramel sweetness, and finished at 5.3% alcohol by volume with 20 IBUs. Speakeasy has never made a beer like Murky Business APA. While the brewery has created plenty of pale ales over 20 years, none of them have contained such a low amount of hop bitterness, which has been dialed down to an absolute minimum. Murky Business APA is focused on the delicious flavors and aroma found in Citra, Mosaic, and Nelson Sauvin hops. Murky Business APA is the first beer created by Speakeasy’s new Beer Development Committee, from concept to recipe and brewing. The committee includes staff members from all facets of the brewery. They’re tasked with the research and development of small batch beers that could play a larger role in the company’s future. Murky Business APA will be released at the Speakeasy Ales & Lagers Tap Room on Saturday, March 18th. Since this beer will only be served on draft, growler fills will be available. Following the Tap Room release, a limited quantity of Murky Business APA kegs will be shipped to Speakeasy’s distribution territories. The Perfect Crime Series features ingenious, small batch, and experimental beers that are carefully contrived and executed by Speakeasy brewers. Each release is limited to draft only, and may only appear once, so the perpetrator can’t be brought to justice.